This article by Ambra Health CEO, Morris Panner, originally appeared on Forbes on January 16, 2019. The mobile revolution has left few industries untouched. 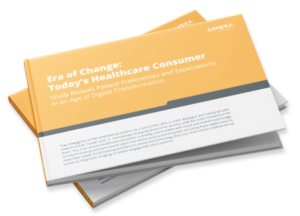 Health care, however, has been slower to adapt to the mobile transition, yet it’s the most convenient way to quickly share information. There’s a real opportunity to ensure that patients are kept informed and that doctors and other medical professionals have swift access to vital data. After all, time is of the essence with many medical conditions. By leveraging mobile technology, we could see real innovation in health care from online scheduling to remote virtual care. Health-related information is perfectly suited for mobile interfaces. All that data should be at the doctor’s fingertips no matter where they happen to be, whether it’s in the office, in the ward or at a patient’s home. Traditionally, patients had to make an appointment, travel to a doctor’s office or hospital and wait to find out test results or gain access to their own medical information. Today, online patient management systems, with data held securely in the cloud, allow them to access their private health care information (PHI) from the comfort of their own homes at a time that suits them. At least in theory. Our study found that one-third of health care consumers still can’t easily access their medical records online. Apple has been pushing for easier access to health data on iOS devices as part of its Health app, which would allow people to view the latest information on their immunizations, lab results, medications and vitals. The tech giant is also now in talks with the Department of Veterans Affairs to find a way to enable veterans to transfer their medical records and access them from their iPhones. Medtech is no stranger to mobile apps. There are apps for electronic prescribing, practice management, diagnosis and treatment, hearing and vision tests and even apps that can simulate surgical procedures, according to P&T Journal. Not only can scans and x-rays be swiftly sent from one department to another, or even one institution to another, but they can also be sent from doctor’s offices and mobile services in the field. For example, at the Cleveland Clinic, mobile stroke units in ambulances help medical personnel to diagnose strokes as early as possible. Many other applications for remote scanning exist, such as an x-ray unit in a nursing home, which can help save frail patients from having to make potentially dangerous trips to the hospital. In some remote rural areas, hospital visits are difficult, and some communities are less likely to come in for tests and screening. Mobile mammography vans have proven effective in Japan as a way of reaching more potentially at-risk women. Sagara Women’s Healthcare Group of Japan, a hospital specializing in breast cancer treatment and women’s health, is an early adopter of my company’s imaging exchange solutions for its mobile mammography services. In the past, medical images were burned on to CDs that had to be physically driven or mailed to the hospital or clinic before a physician could review them. Today, they are uploaded to the cloud within seconds and can be accessed via mobile devices. Despite obvious benefits, plenty of patients still use CDs to transfer diagnostic data, and the process can take 24 hours or more to complete. The Healthcare Information Portability & Accountability Act (HIPAA) holds health care professionals accountable for the safe handling of PHI, but the word “portability” is also key. HIPAA is supposed to enable superior care through the secure sharing of private health care information. Having the right data at the right time on a mobile device can make all the difference in receiving the best care. Being able to quickly share an ultrasound or an MRI with an expert all with the tap of their finger could prove invaluable for a doctor. Emergency workers can do a better job at the scene of an accident or call out if they’re able to access relevant PHI on their smartphone. Ultimately, all health care professionals can deliver better care with easy access to PHI from any device they happen to have in front of them, provided they have the correct authorization and secure authentication is built in. With a virtual filing cabinet in their pocket, physicians can make better-informed decisions without having to run back to their office to check something on a computer. They can also share directly with administrators when required and with patients themselves. Secure, cloud-based mobility that can be accessed 24/7 from any device cuts straight through the bureaucracy of old, boosting the efficiency and quality of care, and bringing tangible benefits for everyone concerned.